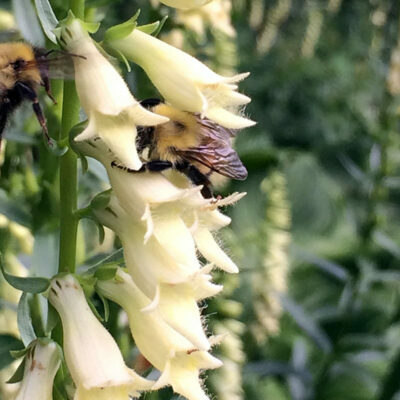 This perennial foxglove will live for many years in your garden. 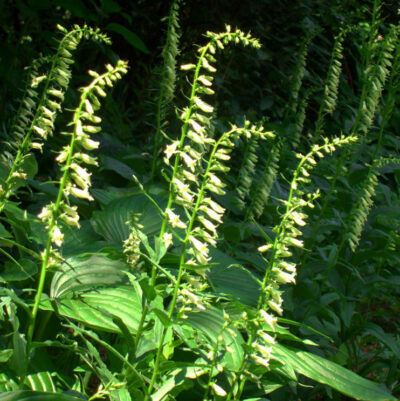 Creamy yellow, tubular flowers bloom in early summer attracting hummingbirds, butterflies, and pollinators. En masse, Straw Foxglove forms a lovely groundcover that is truly elegant. Allow to self-sow for a natural effect. Cut back the spent flower stalks to reveal glossy green rosettes. Part sun. Average soils. Height 2-3′ in flower. Spread 8-12″. Zones 3-9.